Ahead of the upcoming Presidential Election, Jumhoory Party (JP) has announced a shadow cabinet that excludes the biggest opposition party, MDP. JP Leader, Qasim Ibrahim announced his shadow cabinet today through Facebook Live. While no position in the JP shadow cabinet was given to MDP, the only other members outside of JP are from Adhaalath Party and supporters of the former President, Maumoon Abdul Gayoom. The shadow cabinet based on 20 institutes announced by Qasim is a more top-heavy cabinet than the existing 15 member cabinet of President Abdulla Yameen Abdul Gayoom. In his address today, the JP Leader said that he would nominate the MP for Dhiggaru constituency, Ahmed Faaris Maumoon for President of the Parliament and the MP for Kendhoo constituency, Ali Hussain will be nominated as his Deputy. 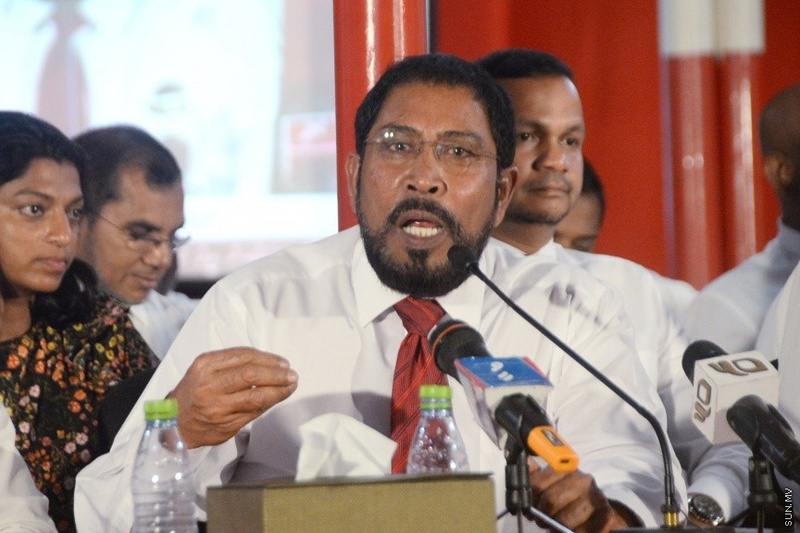 Qasim said that his cabinet is based on those he believes would work with him. 2 months but no monthly coalition leaders' meeting!